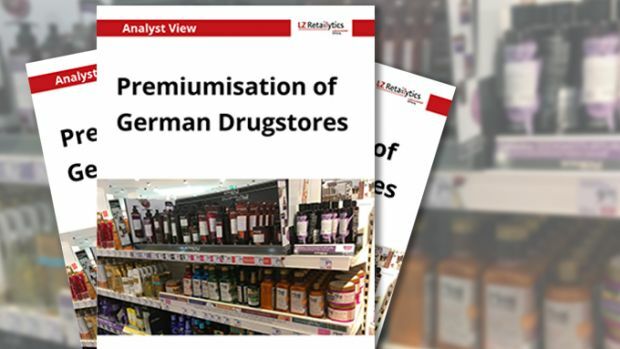 In the German drugstore channel, we are currently experiencing a development akin to the European trend of supermarketisation. In the German drugstore channel, we are currently experiencing a development akin to the European trend of supermarketisation – the term used to describe the discounters’ evolution to a more supermarket-like concept, intended to drive higher sales densities in increasingly saturated markets. Leading players dm and Rossmann have slowed down their rate of expansion in Germany as it becomes harder to find available, attractive store sites and faced with increasing competition from online and the grocers. Drugstores are now targeting a more premium-orientated clientele through the listing of more innovative and higher-priced products. In the future, we anticipate further moves in this direction.